We are proud to be an official Better Buddies school. 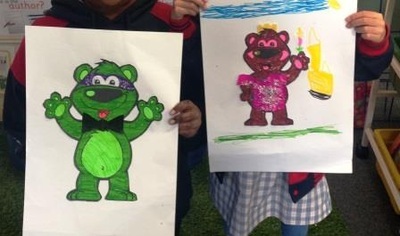 Better Buddies is an initiative of the Alannah and Madeline Foundation and is designed to create friendly and caring primary school communities where bullying is reduced. 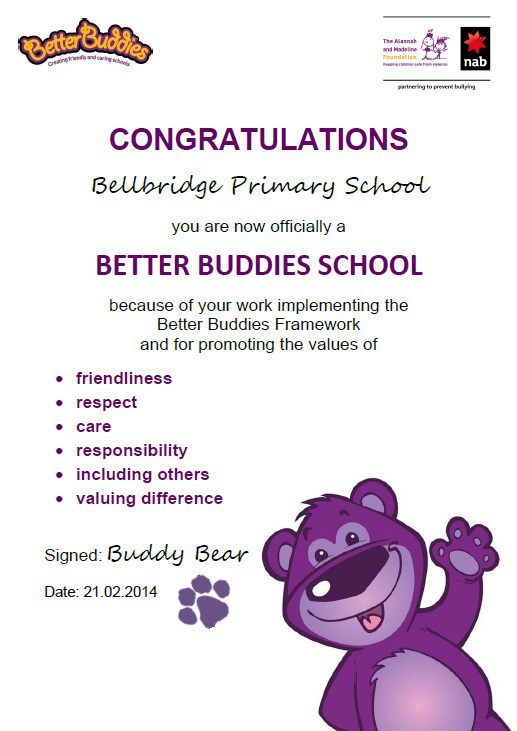 We introduced Better Buddies at Bellbridge in mid-2013, and the program has been successfully implemented across our school. As a result of introducing the program, we now have a buddy system in place which involves all students. The buddy system enables younger children to feel safe and cared for, while older children feel valued and respected. 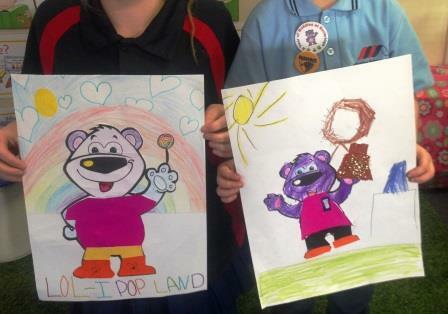 Our Prep and Grade 6 buddies meet daily for buddy reading sessions, and buddy grades throughout the rest of the school meet on a regular basis to engage in buddy activities. Each term, the whole school is involved in a school-wide Better Buddies activity. 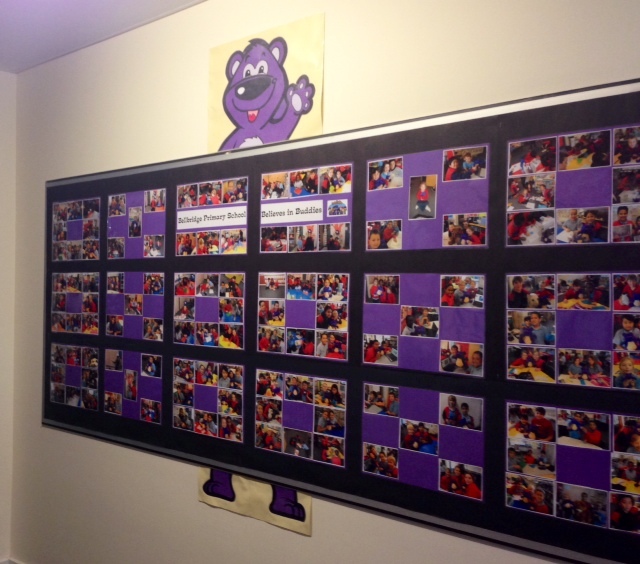 We wanted to develop a buddy system throughout the whole school to foster an environment of inclusion and respect, and teacher and student feedback has indicated that the program is a success.